Antique Pyu State Intaglio Seal (6.35 ct.) excavated in Burma (Period: 1st Cent. B.C. - 9th Cent. AD. 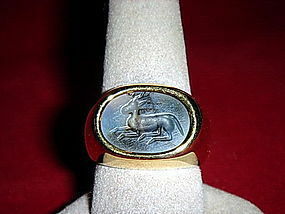 ), 2-tone gray fine Agate, newly mounted as Solid 18 K. Gold Ring (13.61 grammes), rare and exquisite carving-workmanship. Collector's item! Antique Pyu Intaglio Seal (6.35 ct.) excavated in Burma (period 1 B.C.-9th Cent. 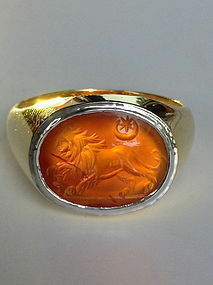 A.D.) depicting a graceful and finely carved seated Deer in 2-tone Agate. Newly mounted into a 18K. Gold ring (weight 13.61 gr.). A real collector's item as very rare and with fine workmanship. 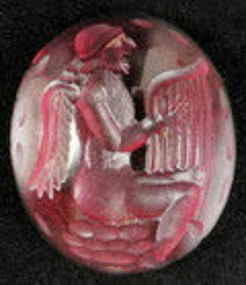 A rare and beautiful Bactrian Cabochon Garnet Intaglio finely depicting a bearded and seated Angel gracefully playing a Lyra. Very fine details. 1-2 Century B.C. Excellent condition. Size 14x12x4 mm. THIS ITEM HAS BEEN MADE INTO A NEW 18K. 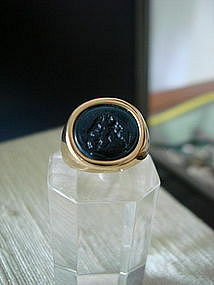 GOLD INTAGLIO RING. PLEASE SEE ITEM # 1277582 FOR DETAILS AND PHOTOGRAPHS. A newly made 18K. 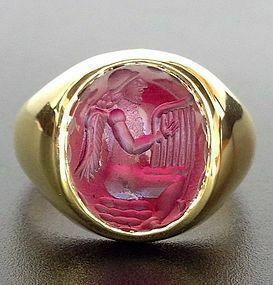 Gold (750) Ring set with an ancient genuine Cabochon Garnet BACTRIAN INTAGLIO carved by hand, depicting a bearded, seated Angel playing a Lyra. Very fine detailed carving. Provenance: Afghanistan, dated 1-2 Century B.C. Good condition overall. Intaglio size: 14 x 12 x 4 mm. Ring size: 62 (10). This item is legal to buy and sell under international laws relating to cultural patrimony. Classic linear style. A very rare and unique one-of-a-kind collector's item. 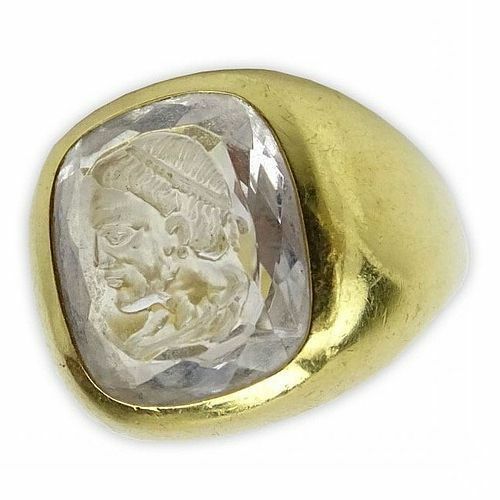 A VERY RARE BRIOLETTE CUT CRYSTAL INTAGLIO MAN'S SOLID 18K. GOLD RING DEPICTING A ROMAN MALE (Warrior?). Stamped ITALY, 18K. Weight: 16 gr. Ring Size: 9 3/4 (61.5). A superb Collector's Piece! Spectacularly large South-Sea White Pearl @ 13.5 mm. diameter, without blemishes, set with 2 beautiful baguette diamonds @ 0.33 ct. total weight, in 18K White Gold (0.82 grammes), Excellent luster! New. 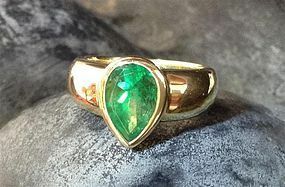 Pear shaped Colombian Emerald Ring 18K. 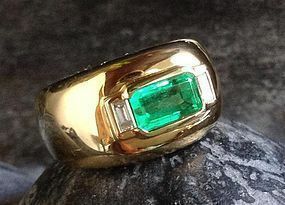 Nice large Colombian Emerald @ 2.20ct Ring set in 18K. Yellow Gold (10.04 gr.) New. Sporty design! Stunning 18K. 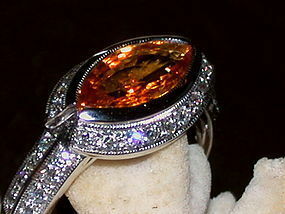 White Gold Ring set with one marquise cut golden yellow genuine Ceylon Sapphire @ 1.95 ct. and 34 diamonds @ 0.45 ct. 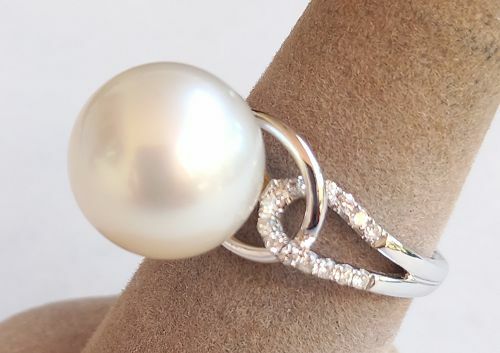 Spectacular new giant WHITE South-Sea PEARL Ring, 13.5 mm. diameter set in 18K. White Gold (0.82 gr.) with 2 baguette Diamonds @ 0.33 ct. total weight. Fantastic luster, no blemishes ! A nice pear shaped genuine Colombian Emerald @ 2.20 ct set in 18K. Gold, ring size 57, Gold 10.04 gr. 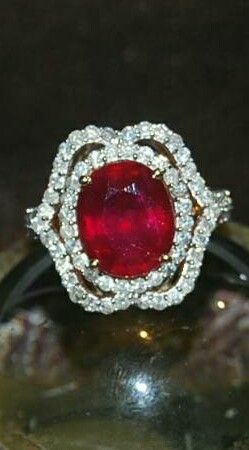 A stunning, genuine Pigeon Blood Ruby @ 7.7 ct. and Diamonds @ 1.41 ct. total weight. Ring Size 7. AIG Appraised. 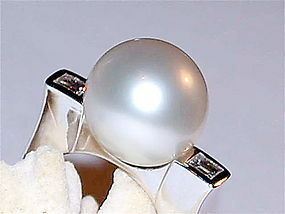 A large GENUINE SOUTH-SEA PEARL RING, wonderful lustre, 13 mm. diameter, SET WITH 14 WHITE TOP WESSELTON DIAMONDS in 18K. White Gold, Ring Size: 53, modern setting, hand made. A Top Wesselton white Diamond @ 0.65 ct. beautifully set in brushed 18K. 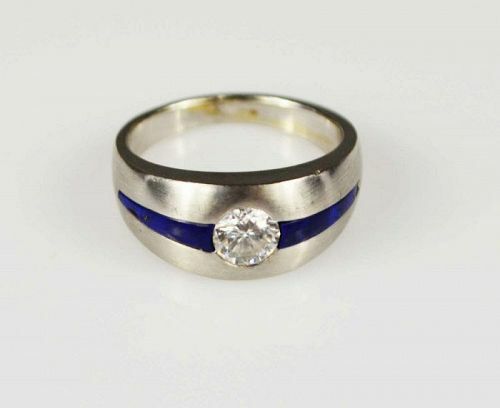 White Gold flanked with Lapis Lazuli trimming on each side. 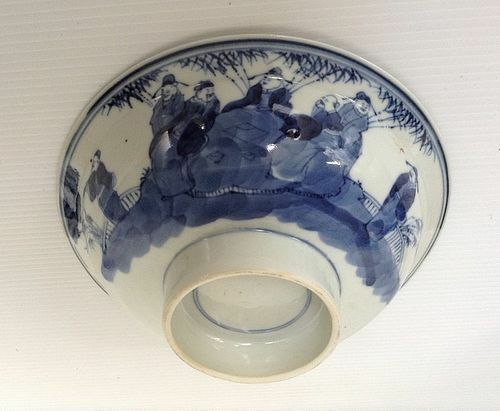 A matching pair of QING DYNASTY Blue & White Chinese Porcelain Stem Bowls with underglaze cobalt blue painting of figures outside, a double ring medallion and a border rim decor inside as well as double rings on the base. Fine condition. Size: 15.25 cm. diameter (6" diameter).